If you or a loved one has been suffering from spine related issues, chances are that you would have heard of the term called “endoscopic spine surgery”. The term refers to a relatively newer procedure that is being used to correct spinal complications. But what is endoscopic spine surgery, and how is it different from the traditional surgical methods? Let’s find it out. Endoscopic Spine Surgery is the newest spinal surgery says the Spine Specialist Dr. Anil Dhingra, which uses some really advanced surgical tools and powerful systems for magnification. In the traditional procedure followed for back surgery, the surgeon needs to cut open the back muscle to reach the spine and central nervous system of the patient. 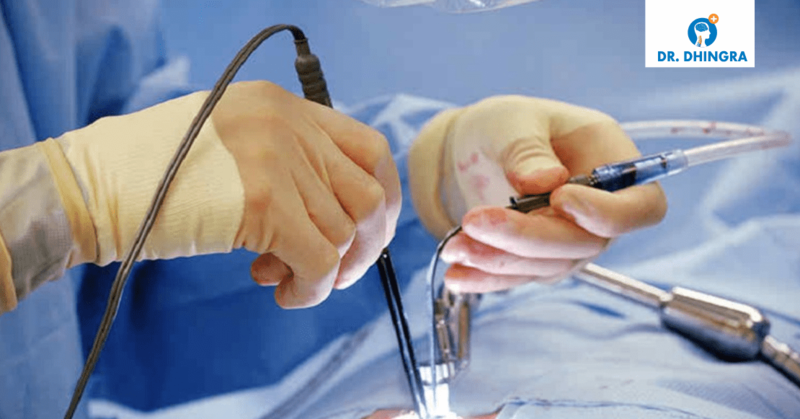 However, the biggest benefit of endoscopic surgery is that the surgeon just needs to insert the advanced surgical equipment into the body by making tiny incisions in the back muscle. The surgeon can reach the section of the spine which needs attention by means of advanced X-ray and digital navigation. Other allied benefits of endoscopic spine surgery include less blood loss, faster recovery, minimal hospital stay and much, much lesser pain. Endoscopy is a very favorable surgical procedure for a variety of spinal conditions. But technology has its limitations, and the procedure is not meant for everyone. Moreover, not all spinal procedures can be performed endoscopically, as of now. An Endoscopic Surgery is usually recommended to treat disc herniations, failed back surgery syndrome, spinal stenosis and many other conditions of the spine. Dr. Anil Dhingra, which is the best spine surgeon in Chandigarh, offers a great deal of expertise and experience in endoscopic surgery, with a remarkable success rate in the procedure. The hospital also offers some of the most advanced infrastructural and technical facilities to ensure the best treatment of the patients.